I just love a good rainbow-kind of project in the sense that there are so many bright and merry colours exploding from today’s post. 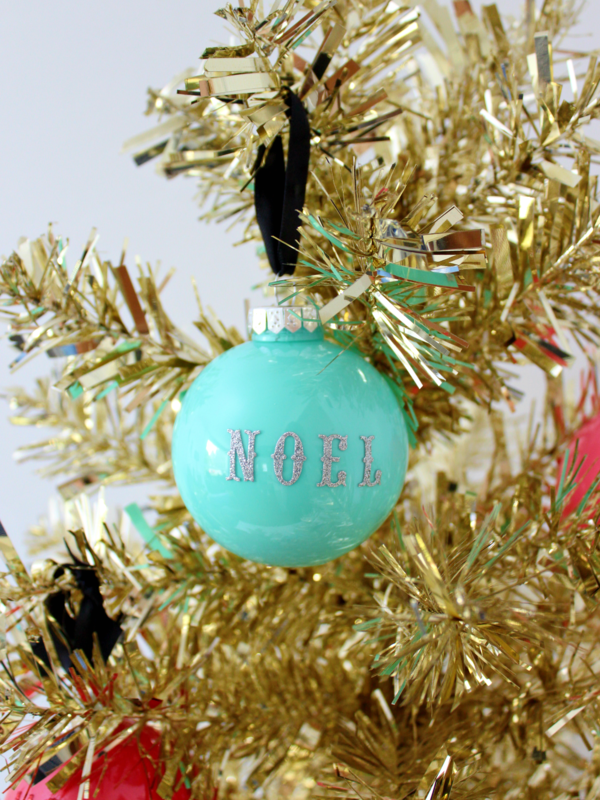 These ornaments were colourfied by craft paints in my favourite hues (I’m not sure if “colourfied” is actually a word, but it works for me!) That’s only the first fun part of this two-part project. 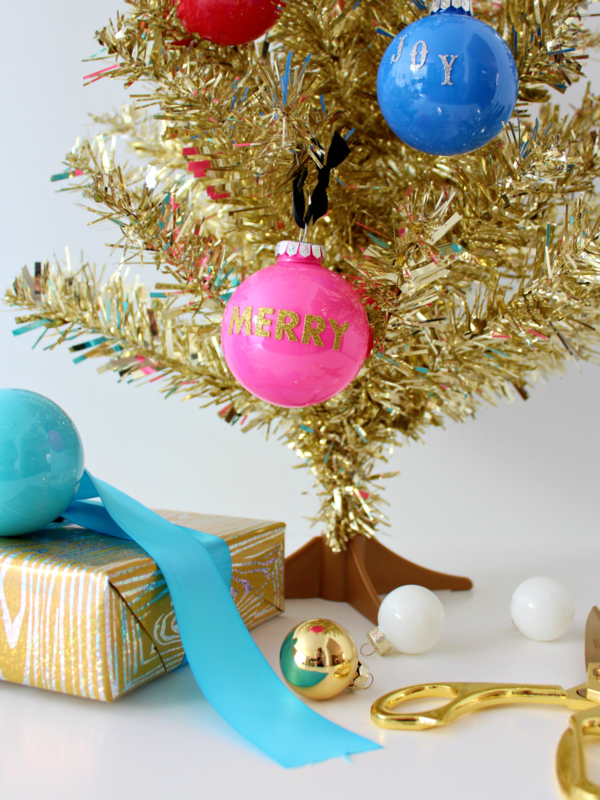 To make these wordy ornaments, keep on reading on what to do. 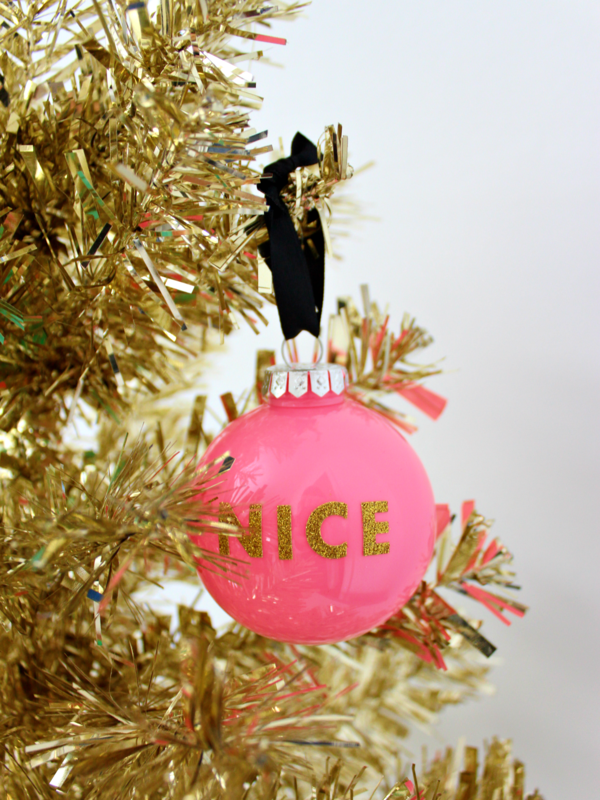 And when you’re done, you can hang these pretties on the tree or use them to top gifts! 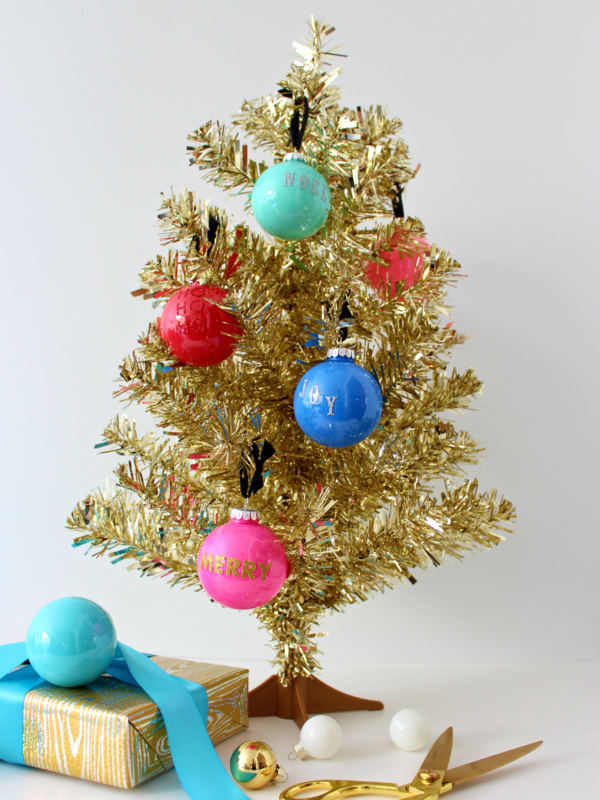 Remove the tops and give three to four good squirts of paint into each bauble and swish it around until the surface is completely covered. 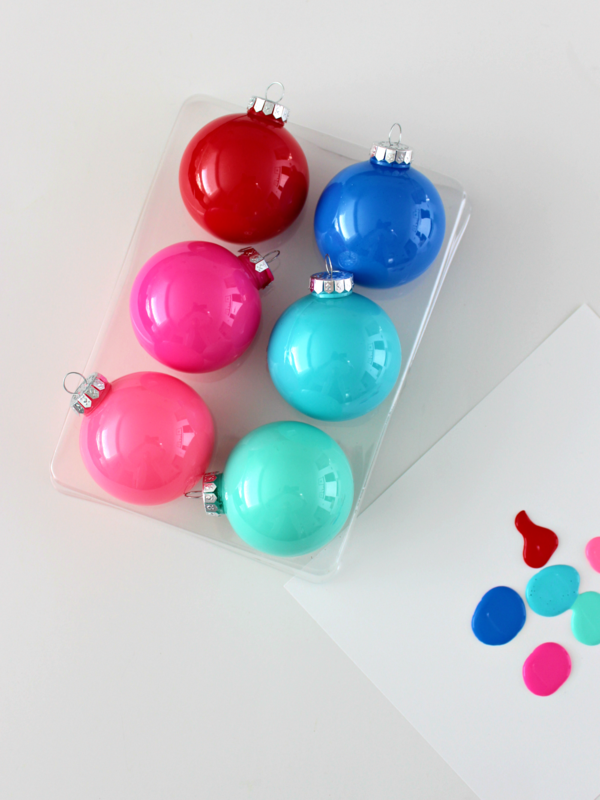 Let excess paint drip out by setting the baubles upside down on paper plates. Then set the baubles on their side to let them dry completely inside (a few hours). 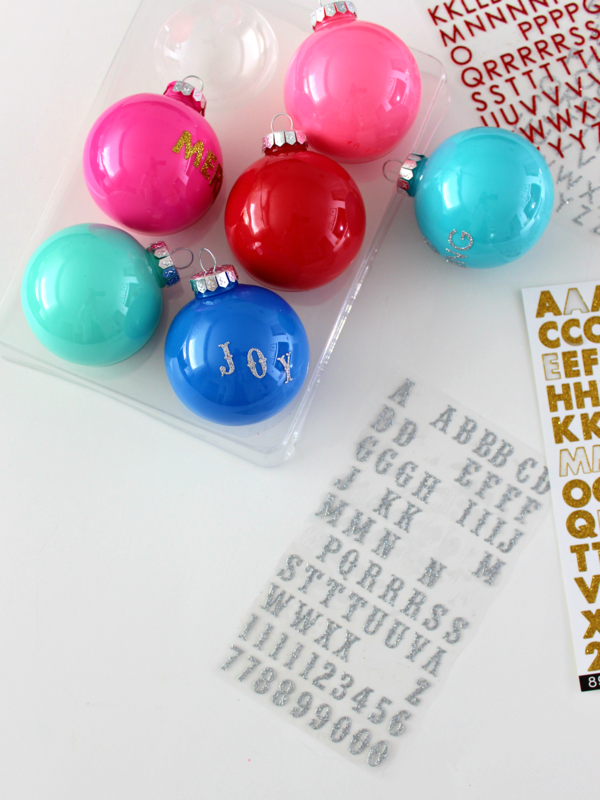 Return the caps on each one, and use adhesive letters to spell out Christmas words or phrases. Some examples: HO, HO, HO, JOY, MERRY, NOEL, PEACE, JOLLY, NICE, NAUGHTY, NO PEEKING. 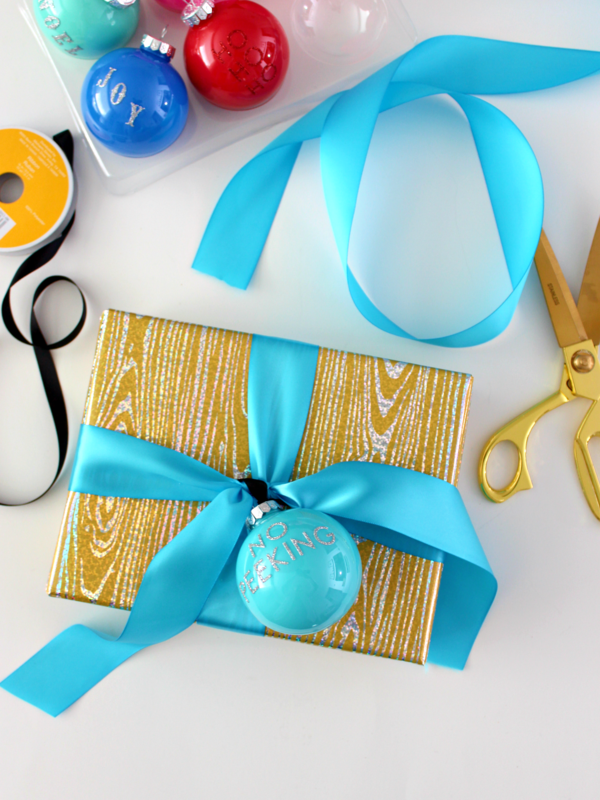 Total project time: about 30 minutes for six baubles (not including drying time).